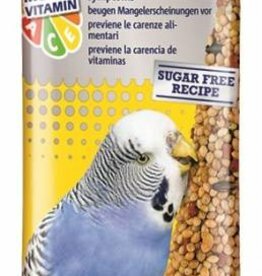 Food and treats for cage birds. 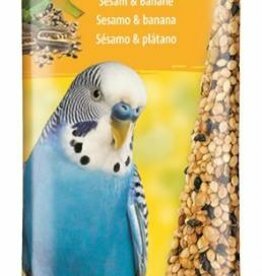 A natural seed treat for budgies, cockatiels etc with selected seeds and honey plus various dried fruit including apple, banana, raisins and currants. Selected seeds enriched with honey in traditional bar shape. Johnson Honey Bars also include a handy integral hook which allows them to be suspended in a cage or aviary. Natural Seeds, Nuts, Cereals enriched with honey in traditional bar shape. 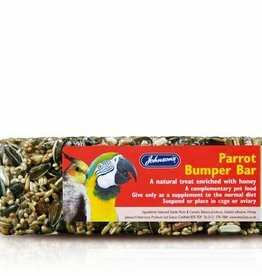 Johnson Nut & Honey Bars also include a handy integral hook which allows them to be suspended in a cage or aviary. 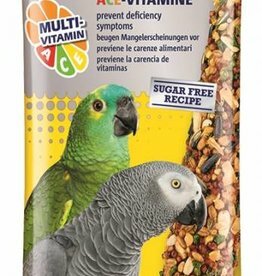 A natural seed treat for Parrots, Cockatiels etc with selected seeds. nuts and cereals with honey plus various dried fruit including apple, banana, raisins and currants. 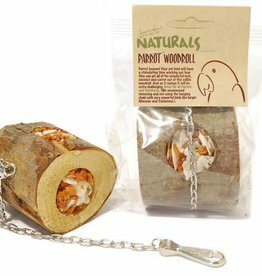 Selected seeds with honey in a ring shape to fit onto a standard cage perch, or can be hung from the bars. integral hook so they can be suspended in a cage or aviary. Selected seeds and nuts enriched with honey in traditional bell shape. 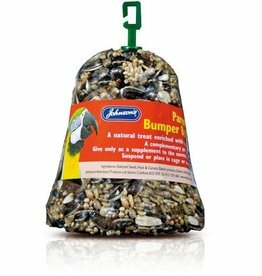 Johnson Bumper Bells also include a handy integral hook which allows them to be suspended in a cage or aviary.